Having started his work in Tallahassee earlier this month, a new poll finds Gov. Ron DeSantis is in good shape with Florida voters. 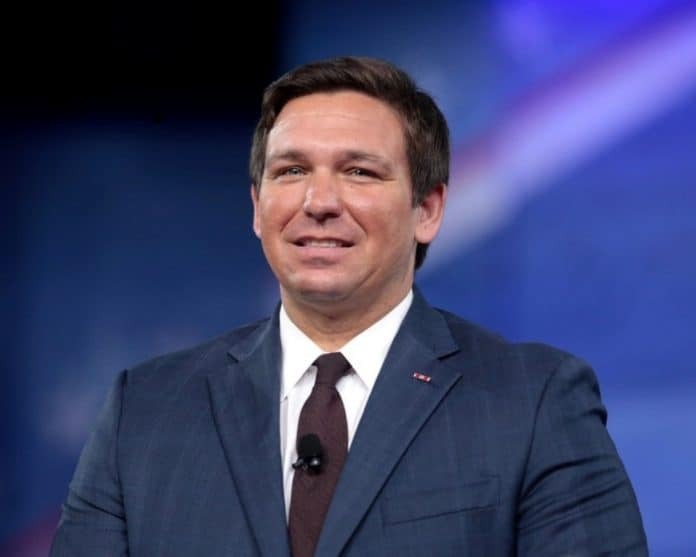 Mason Dixon released a poll on Thursday morning which shows almost half of those surveyed–48 percent–see DeSantis as favorable while only 17 percent view him unfavorably while 31 percent are neutral and 4 percent have never heard of him. Back in October, during a heated gubernatorial campaign, Mason Dixon found 39 percent viewing DeSantis favorably, 34 percent unfavorably and 20 percent as neutral. There is a partisan divide with 78 percent of Republicans seeing DeSantis as favorable while only 1 percent views him in an unfavorable light. Independents also approve of DeSantis with 52 percent seeing him as favorable and 9 percent view him unfavorably. While 40 percent of Democrats are neutral about him, the same percentage see the governor as unfavorable while 16 percent see him favorably. DeSantis is in better shape than Florida’s two U.S. senators. The poll finds Republican U.S. Sen. Marco Rubio being seen as favorable by 44 percent and unfavorable by 23 percent while almost a third of those surveyed–32 percent–are neutral about him and 1 percent haven’t heard of him despite his eight years in the Senate and his presidential bid in 2016. Newly elected Republican U.S. Sen. Rick Scott gets far more mixed marks with 42 percent seeing him as favorable, 38 percent viewing him in an unfavorable light and 20 percent are neutral about him.